Ukraine’s presidential candidates have travelled to Paris and Berlin to seek international backing nine days before the April 21 runoff vote. French President, Emmanuel Macron first hosted comic Volodymyr Zelensky, a political novice who is tipped to become Ukraine’s sixth president, for talks in Paris before a planned meeting with the incumbent, President Petro Poroshenko. Both men were expected to discuss Ukraine’s five-year war with Russian-backed rebels in the country’s east, a conflict in which, France and Germany, have attempted to broker peace. “Very cool,” Zelensky said of his meeting with Macron. “We spoke about life, we spoke about the main things,” he told Radio Free Europe/Radio Liberty. “We spoke about stopping the war in Donbass,” he said, referring to the conflict in eastern Ukraine. Merkel told a news conference with Poroshenko that she had invited him to Berlin to continue their “constant exchange” on security. “I think it’s important that we continue to discuss, even at a time when the elections are under way,” she said. 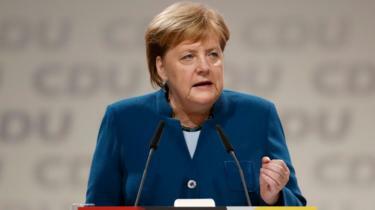 France and Germany are part of the so-called Normandy Quartet with Ukraine and Russia set up to try to end the conflict between Kiev and Moscow-backed separatists. On Thursday, he had described the Paris and Berlin visits as “especially important” in the face of what he called Western “attempts” to lift sanctions against Russia, imposed after its 2014 annexation of Ukraine’s Crimea Peninsula. 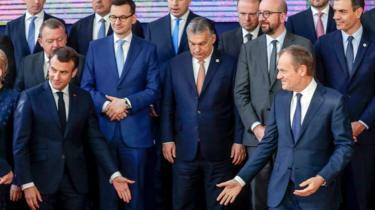 But the EU is expected to offer a longer delay, after European Council President Donald Tusk urged the other 27 leaders to back a flexible extension of up to a year – and with conditions. So far, UK MPs have rejected the withdrawal agreement Mrs May reached with other European leaders last year, so she is now asking for the leaving date to be extended. 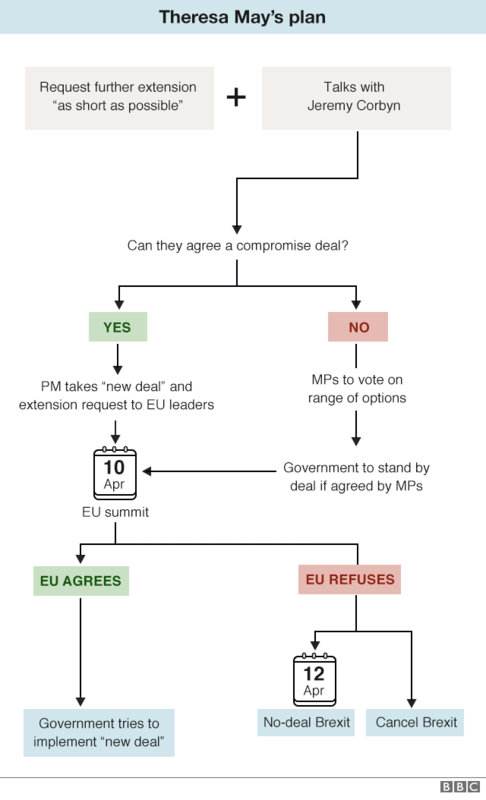 If no extension is granted, the default position would be to leave on Friday without a deal. 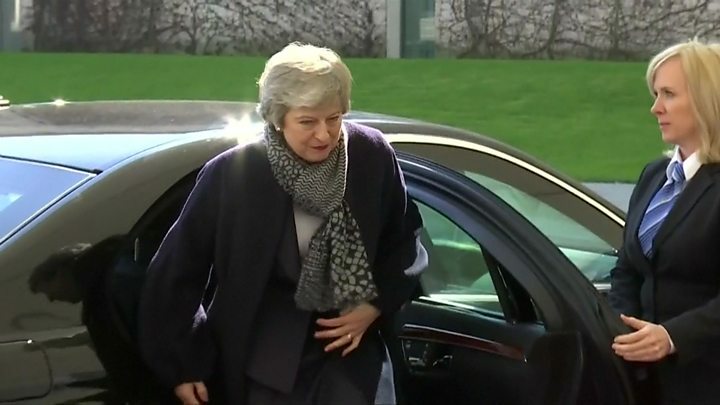 At the summit – which begins at around 18:00 local time (17:00 BST) on Wednesday evening – Mrs May will formally present her case for a short delay until 30 June, with the option for the UK to leave earlier if her Brexit deal is ratified. BBC Europe editor Mr Ben Rory, said the fact the length of delay had been left blank in the conclusions showed EU leaders were still divided on the issue. The BBC’s Europe correspondent Kevin Connolly said “much has been spelled out in advance”, including the condition that if the UK remains a member of the EU at the end of May it will have to hold elections to the European Parliament or be forced to leave immediately. 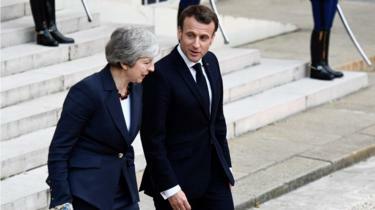 On Tuesday, Mrs May travelled to Paris for talks with French President Emmanuel Macron and then Berlin to meet German Chancellor Angela Merkel, in a bid to seek their support for her shorter delay. 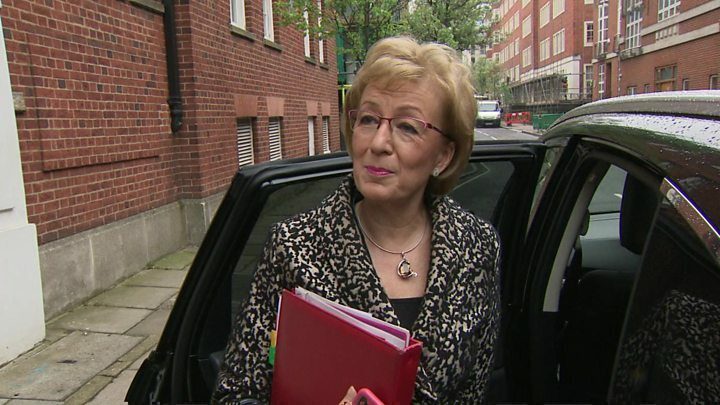 Environment Secretary Michael Gove said the talks had been “open and constructive” but the sides differed on a “number of areas”. Labour’s shadow business secretary Rebecca Long Bailey said they were “hopeful progress will be made”. No 10 said ministers and their shadow counterparts will continue cross-party talks later, as they try to break the Brexit deadlock. Justice Secretary David Gauke told BBC Breakfast the meetings had been “constructive and positive”, adding that both sides were “working in a positive manner” to find a way forward. 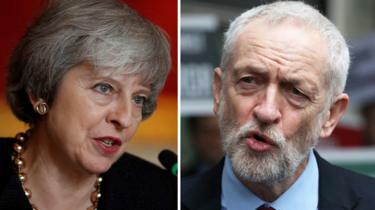 On Monday, sources indicated the PM had not accepted Labour’s customs union demand, but there was a move towards changing the non-binding political declaration. And the government reportedly suggested offering Labour a guarantee that any deal they reached could not be undone, creating a “lock”. This aims to ease Labour concerns that any promises could be unpicked by the next Conservative leader. But BBC political editor, Emmanuel Justice, said there was “deep concern” on the Labour side that any legal promise could be undone by future legislation. However, the prime minister has been warned by members of the 1922 committee of Conservative backbenchers that agreeing a customs union with the EU in Brexit talks would be “unacceptable”. The MPs met Mrs May in Downing Street on Monday and it is understood they were more open to the idea of a customs arrangement, which would allow the UK to do its own trade deals. 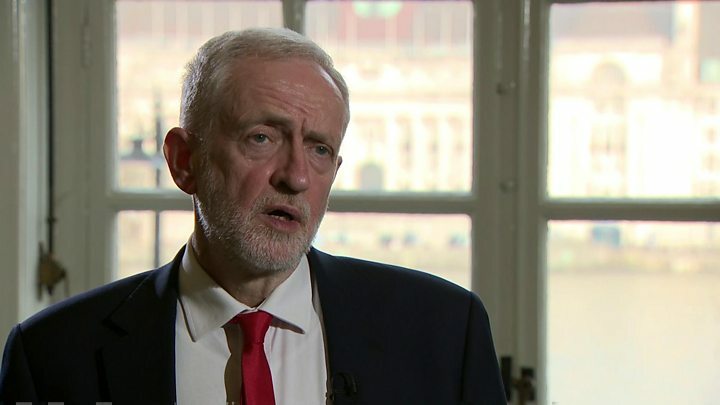 Ahead of speaking at a rally for the campaign, he told BBC Radio 4’s Today programme he is “probably likely” to be sacked, as it is not government policy, but it felt it was “important” to explain that another referendum was not just for Remain-backers. Meanwhile, the government has taken the necessary steps which are required by law to allow the UK to take part in European Parliament elections on 23 May. The 50 deputies from each country are from almost all political parties, proportional to their numbers in the national parliaments. The plan is to convene the new joint parliament twice a year in the future. It follows the signing of the Treaty of Aachen, which aims to bolster Franco-German co-operation in Europe. 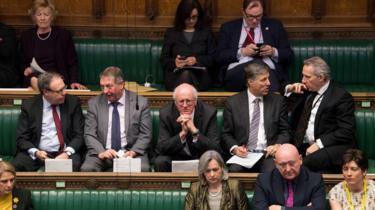 The new parliament’s purpose is to enforce that treaty, signed in January, and to monitor “affairs of common interest” – including foreign policy, security and defence. The joint parliament will not be legally binding on the national parliaments of either country though. Monday’s first session is mostly ceremonial and procedural, with the signing the agreement for the joint venture by parliamentary presidents Wolfgang Schäuble of the German Bundestag and Richard Ferrand of the French National Assembly. Mr Ferrand tweeted a photo of the signing, calling it a “historic day”. Over time, there are plans for this joint parliament to be part of strengthening links between the national parliaments of both countries. What is the treaty about? The Treaty of Aachen was signed by French President Emmanuel Macron and German Chancellor Angela Merkel earlier this year. At a time when one member of the European Union is leaving, and amid the rise of populism or right-wing politics in several member states, the pair spoke about the need to strengthen European values. As well as common diplomatic goals, the two nations committed to joint defence and “a common military culture”. It commits both countries to agreeing a common position – and to issue joint statements – on major EU issues, rather than pursuing separate agendas. They will do the same at the United Nations. 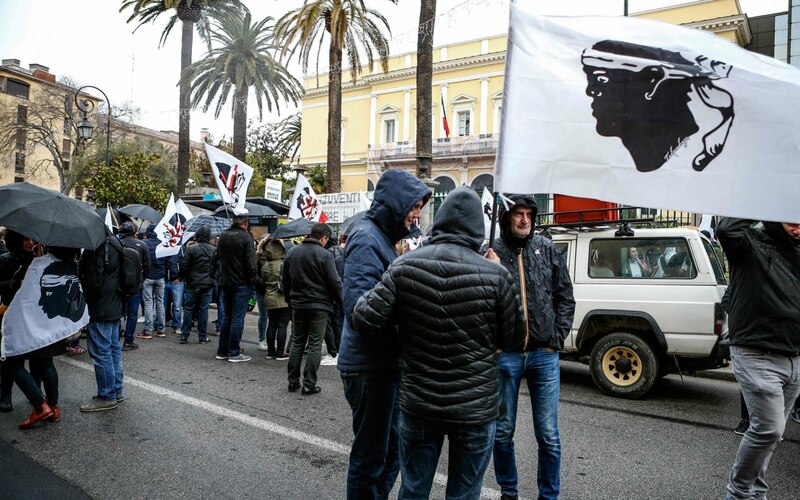 But Italy’s interior minister has been a vocal opponent of what he calls the “Franco-German axis”, and is widely expected to spearhead a Eurosceptic alliance in May’s European elections. Demonstrators have smashed and looted shops in Paris in a resurgence of the gilets jaunes (“yellow vest”) protests that started four months ago in France. 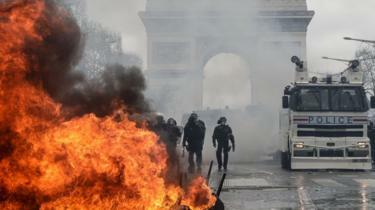 Rioters torched a luxury handbag store and vandalised an upscale restaurant on the famed Champs-Élysées avenue. The protests began over fuel tax rises but have since developed into a broader revolt against perceived elitism. 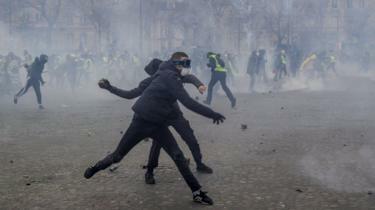 Police say about 10,000 people took part in Saturday’s protest in the French capital, a marked increase compared with similar demonstrations in recent weeks. 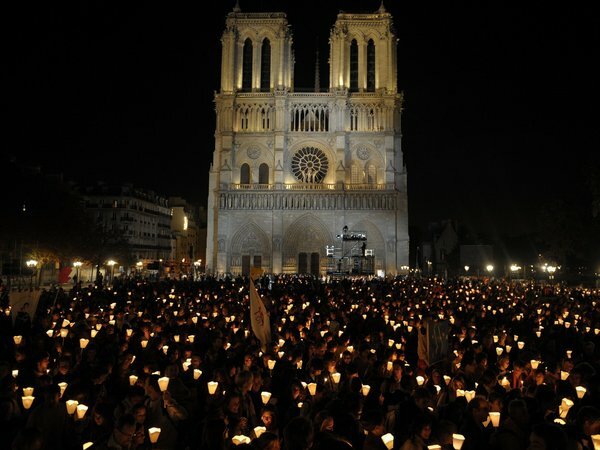 However, police said 36,000 people took part peacefully in a separate march against climate change in another part of Paris. 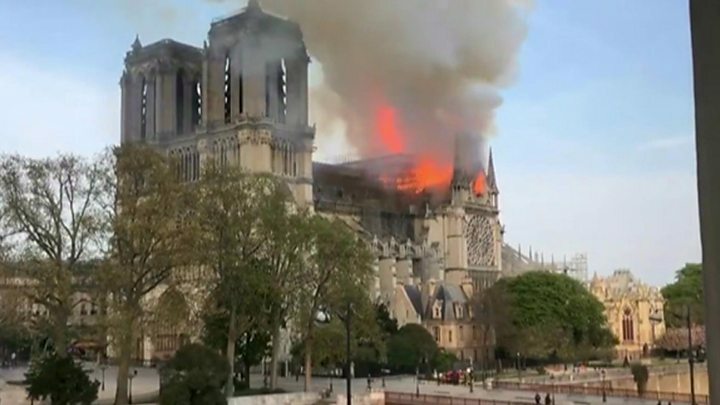 What’s the latest from Paris? As well as a surge in numbers on Saturday, there was a return to the levels of violence that characterised the early protests. 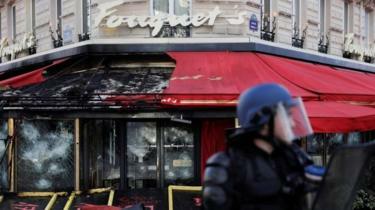 Fouquet’s – an upscale restaurant popular with politicians and celebrities – was vandalised, as was a Boss menswear store. Rioters also set fire to the luxury Longchamp handbag store. Fires were lit in the streets, with at least one car set ablaze, and a bank branch was set alight. The bank was located on the ground floor of an apartment building, which was engulfed by flames. The fire service evacuated the residents and extinguished the blaze. 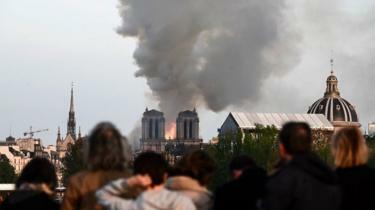 Eleven people, including two fire fighters, suffered minor injuries, a spokesman told the AFP news agency. 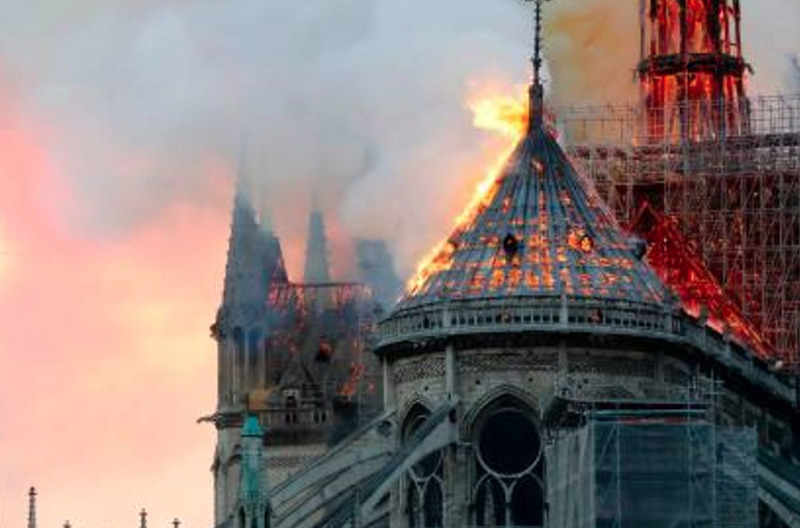 How did French politicians react? 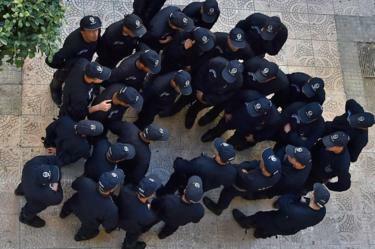 Interior Minister Christophe Castaner said that more than 1,400 police officers had been mobilised. 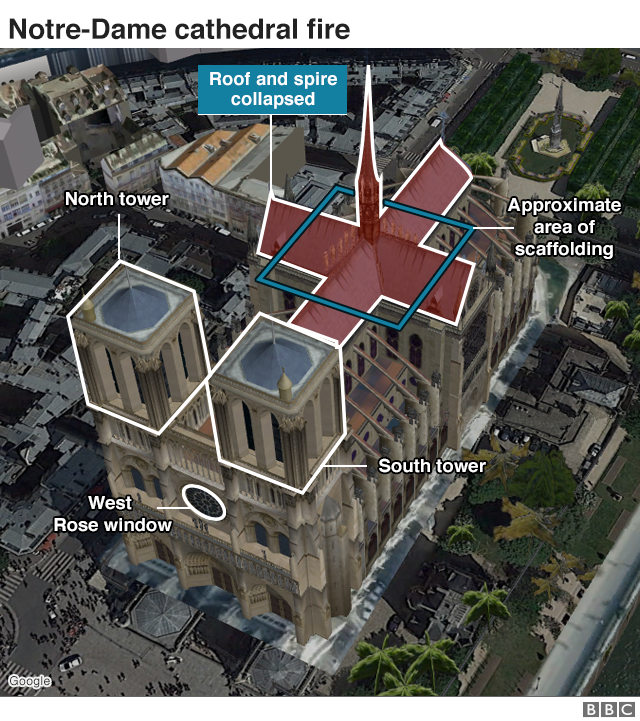 Mr Castaner said he had given police an order to respond to the “unacceptable attacks with the greatest firmness”. 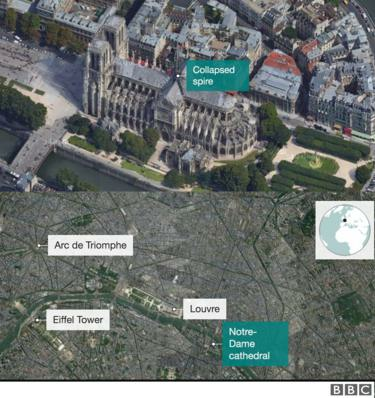 By mid-afternoon, 129 people were arrested, AFP reports. In January, the government ordered police to crack down on violence in the protests, leading to complaints of police brutality. President Emmanuel Macron offered concessions to the protesters after the movement swept the nation – including €10bn (£8.5bn; $11bn) designed to boost the incomes of the poorest workers and pensioners – but they failed to quell the discontent. 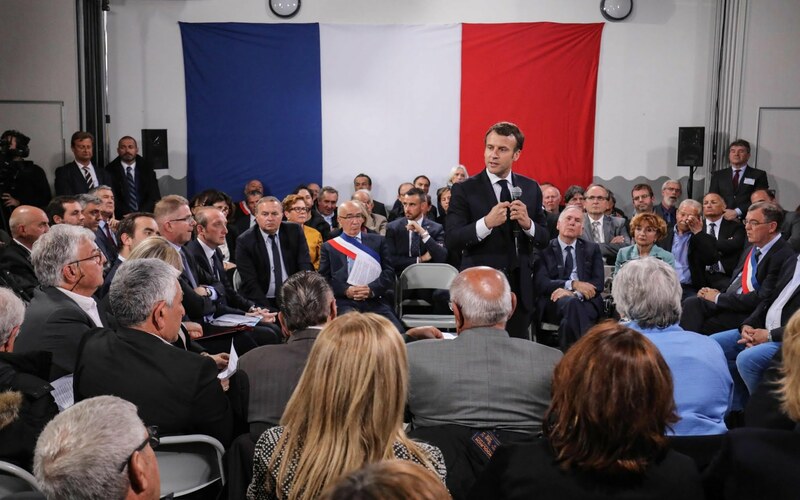 For the past month, Mr Macron has toured France, listening to local mayors and citizens as part of his “grand débat” – a big national debate. 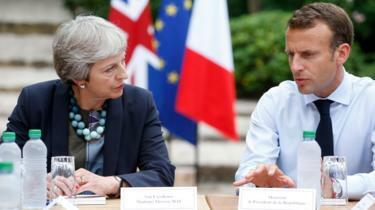 He has also asked communities to come together and put forward their ideas for how to fix France, and there have so far been 8,253 local meetings. The yellow vest movement has faced accusations of anti-Semitism in recent weeks after a prominent Jewish philosopher, Alain Finkielkraut, was targeted by insults and taunts in Paris. Officers in Paris intervened to form a barrier after a group of individuals involved in the march confronted Mr Finkielkraut and started verbally insulting him. The 69-year-old academic told Le Parisien newspaper that he heard people shouting “dirty Zionist” and “throw yourself in the canal”. A few days before Mr Finkielkraut was attacked, official data suggested there had been a 74% rise in anti-Semitic attacks in France last year. 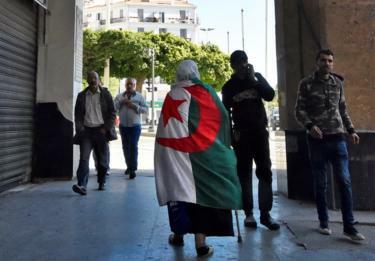 “I want a better future,” 10-year-old Mohamed Kemime told Reuters news agency, draped in Algeria’s national flag. 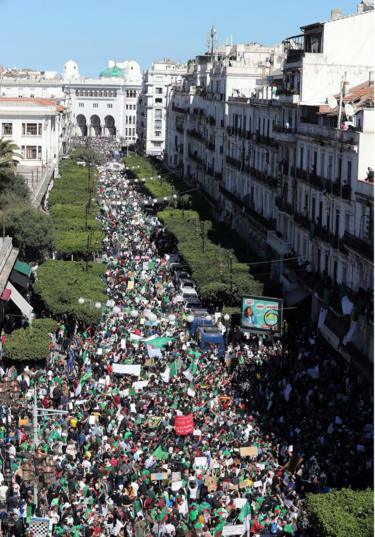 Algeria protests: What’s behind them? “Those who think we are tired are wrong. 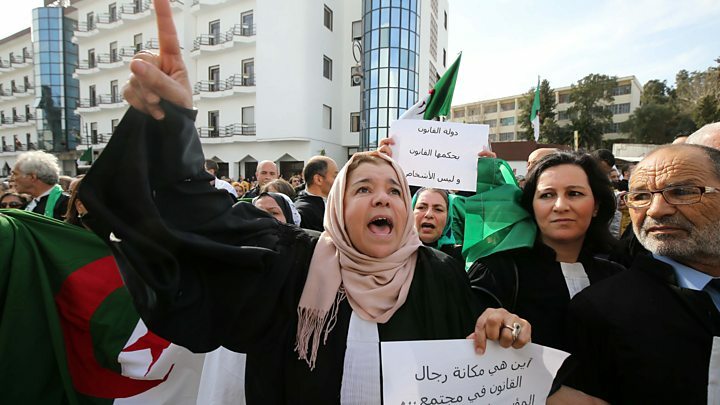 Our protests will not stop,” Madjid Benzida, a doctor on Friday’s protests, told Reuters. 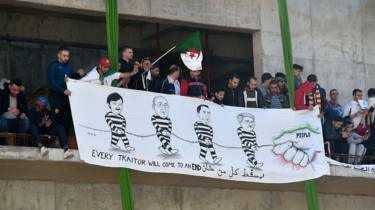 “Bouteflika and his men must go as soon as possible,” said 23-year-old student Yazid Ammari. The UK, Belgium, the Netherlands and the United States have all grappled with the question of whether to allow those who left to join the Islamic State to return – and potentially face prosecution when they do. They are due to be tried on terrorist charges – which may carry the death penalty under Iraqi law. 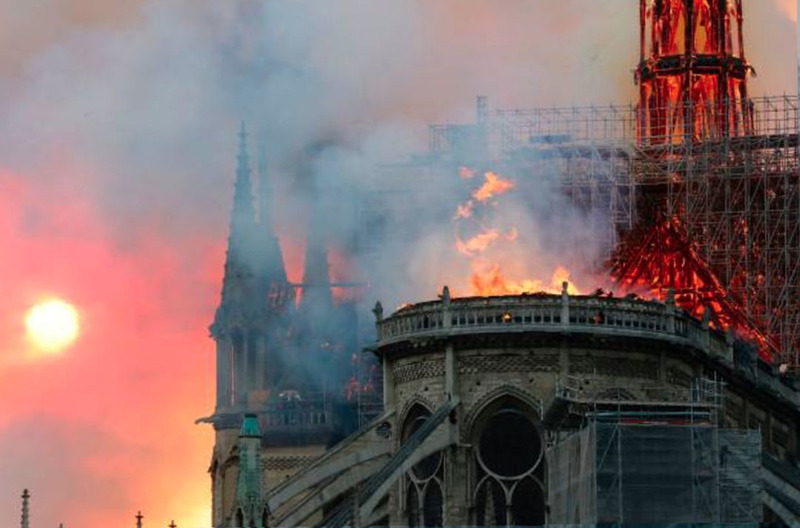 French broadcaster BFMTV reports that it will make no difference whether they are accused of directly fighting for the Islamic State group, or merely providing other assistance to it – the penalty remains the same. Iraq’s decision to prosecute the 13 allows France to sidestep the political maze facing many other countries – though some reports suggest there may be dozens of other French captives awaiting a similar fate. US President Donald Trump, meanwhile, has urged European countries to take custody of their citizens and put them on trial – warning that if they refuse, the prisoners may simply be released instead. In the UK, there is a national debate over the future of Shamima Begum, who left London in 2015, aged 15, to travel to Syria Now living in a refugee camp, and with a newborn child, she has asked to return. The UK has instead said it will strip her of her citizenship – arguing that it can do so despite international law, because she is entitled to Bangladeshi citizenship through inheritance. Her husband is a Dutch convert to Islam, and is thought to have surrendered to a group of Syrian fighters about two weeks ago. She has previously said she may apply for Dutch citizenship. Meanwhile, in Belgium, the government is wrapped in a court case to prevent women returning from camps in Syria – though it remains open to taking in their children. Russia has repatriated more than 100 children whose parents are imprisoned in Syria and Iraq, returning them to family members.